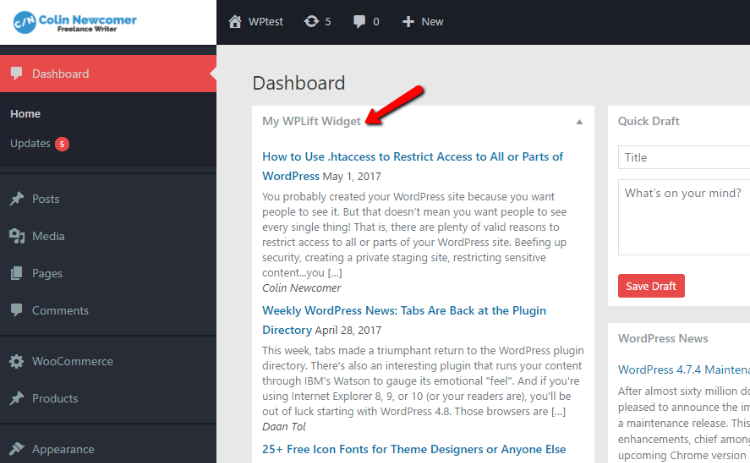 If you need to customize or white label the WordPress dashboard, you’ve found your way to the right post. 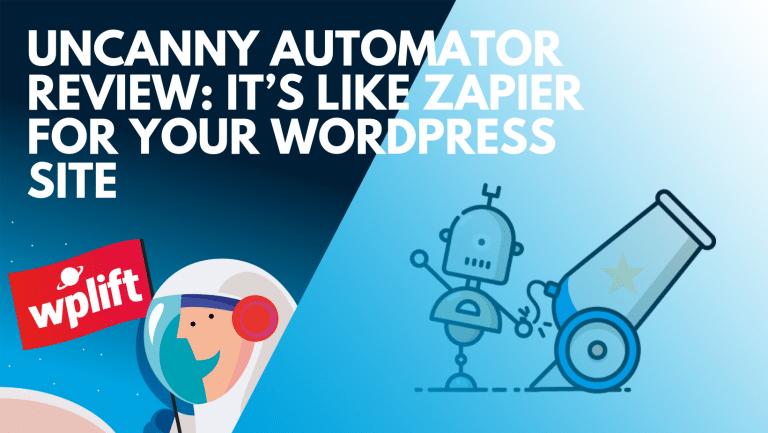 In my WpAlter review, I’ll be digging into all the ways in which this affordable plugin can help you customize the WordPress dashboard. While the plugin certainly serves a niche use, it’s easy to use and gives you a great deal of control over your dashboard (or your clients’ dashboards). Keep reading to learn more about WpAlter’s features and see how it works in real life. WpAlter Review: What Does The Plugin Do? As usual, let’s begin the review by talking about the plugin’s features in an abstract sense. Then, after you have an idea of what you’ll get with the plugin, I’ll dig in and go hands-on and see if its performance holds up to its marketing claims. 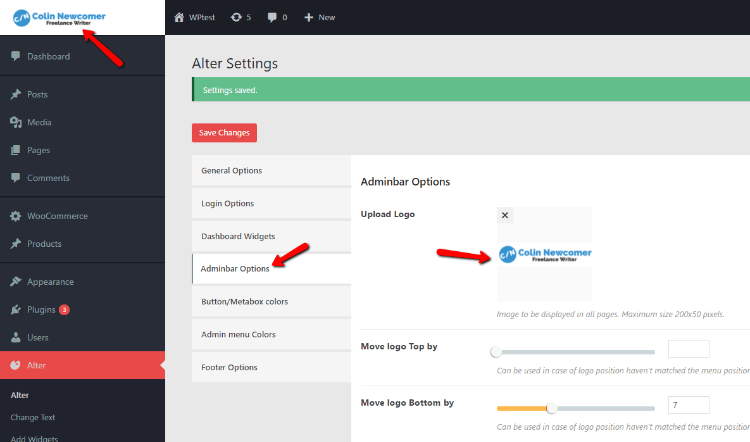 WpAlter aims to let you customize pretty much every aspect of the WordPress dashboard. 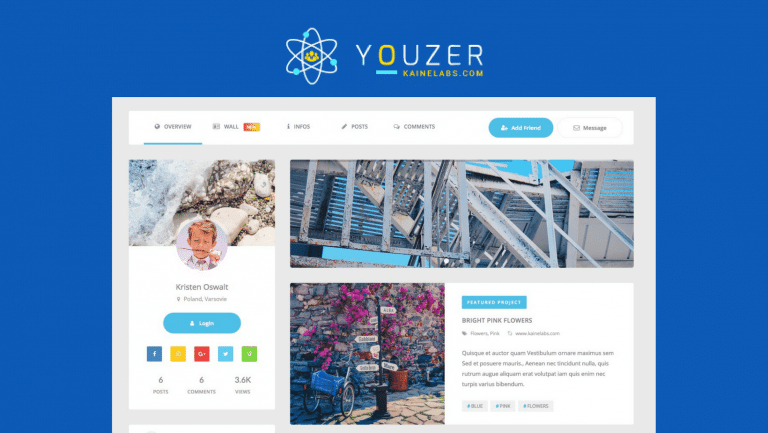 You can either use this for your own site or, probably more likely, you can use WpAlter to customize the WordPress dashboard for your clients. 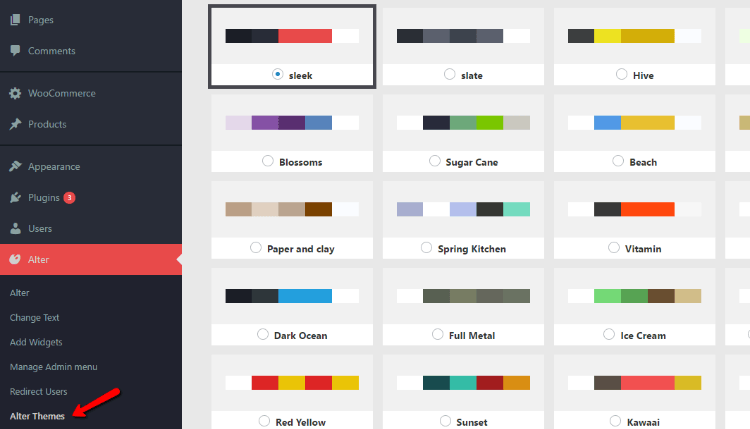 And my favorite part…because there are a ton of color options (almost an overwhelming amount), WpAlter ships with a bunch of preset color schemes that let you quickly create a stylish and unique dashboard. Once you install and activate WpAlter, you get a new Alter tab that contains all of the plugin’s options. I like the themes because they’re a quick way to make a drastic change. But now that we’ve got our theme, let’s pop up to the Alter Settings tab to get a bit more granular with our tweaks. 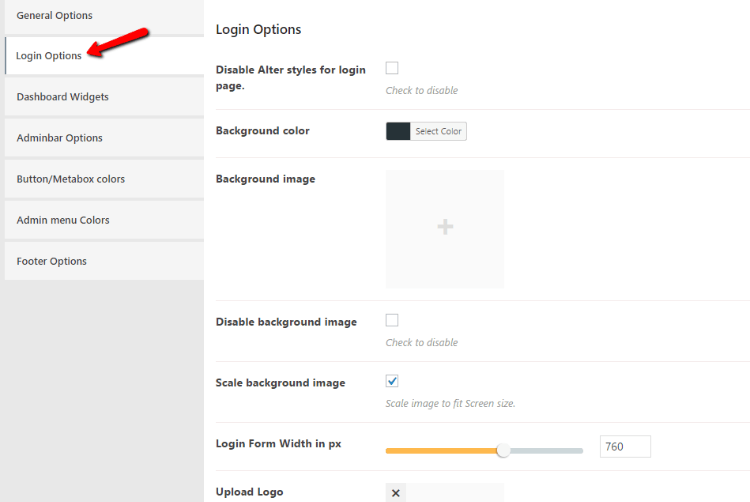 Basically, it’s everything you’d get in a dedicated login customization plugin. This is a nice touch for really going all-in on white labeling. 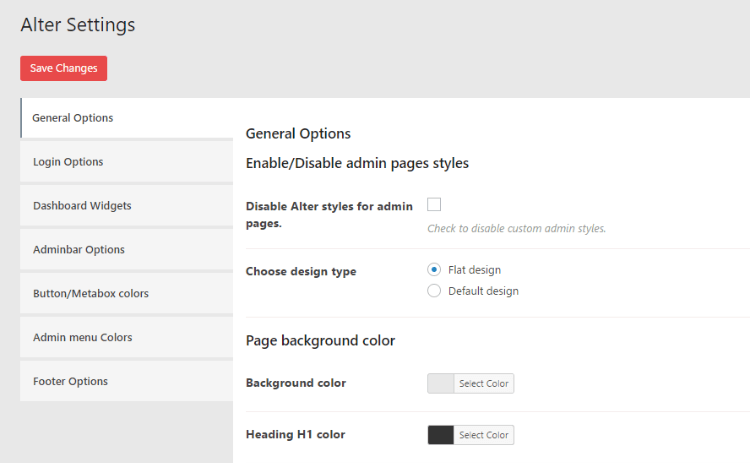 The Button/Metabox colors and Admin menu colors tabs just deal exclusively with colors for those respective items. 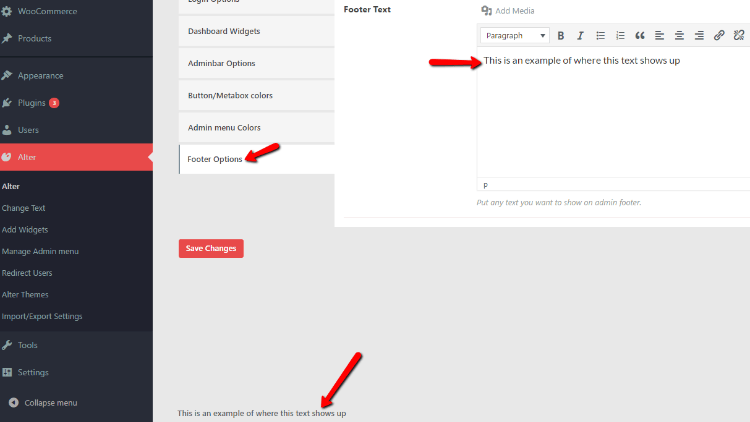 And finally, the Footer Options tab lets you add custom text to the footer of your dashboard. You’re probably familiar with the concept of find & replace as it applies to your text or code editor. 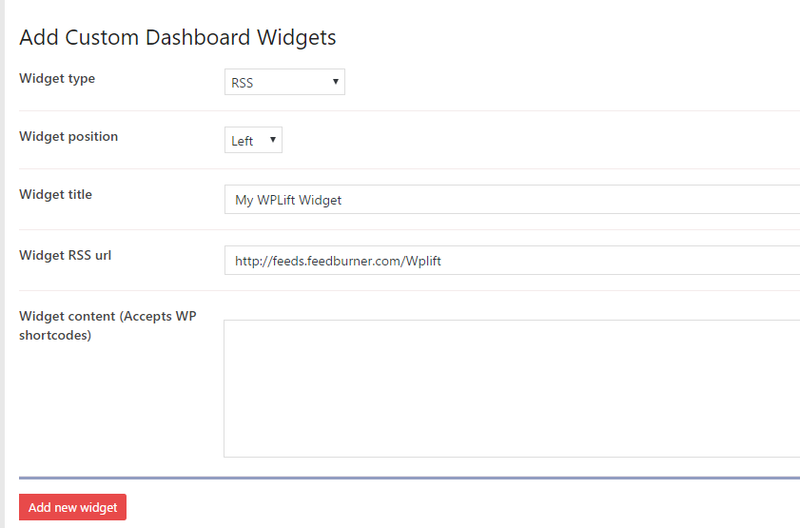 Well, WpAlter brings that same functionality inside your WordPress dashboard. 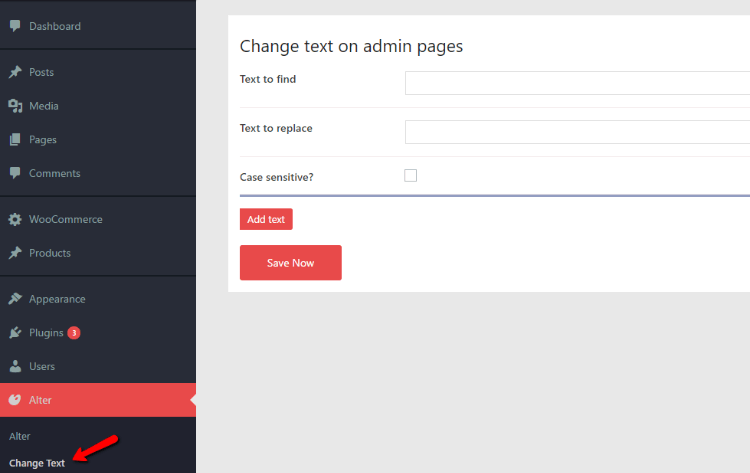 In the Change Text option, you can run a find and replace on text in all of your admin pages. 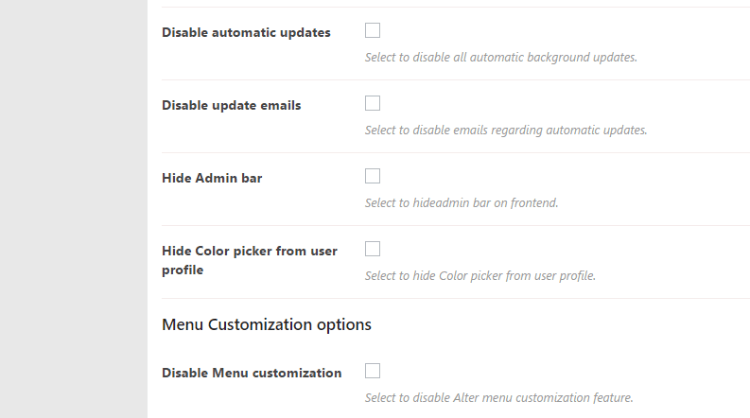 In the Add Widgets option, you can easily create custom dashboard widgets. One nice thing is that you can create these widgets either as static content or from an RSS feed. And you can also include shortcodes in the widget if needed. 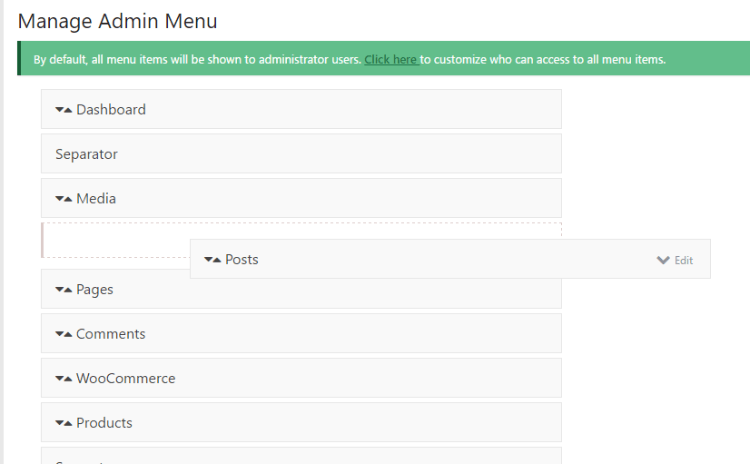 The Manage Admin menu tab lets you control pretty much every aspect of your admin menu. 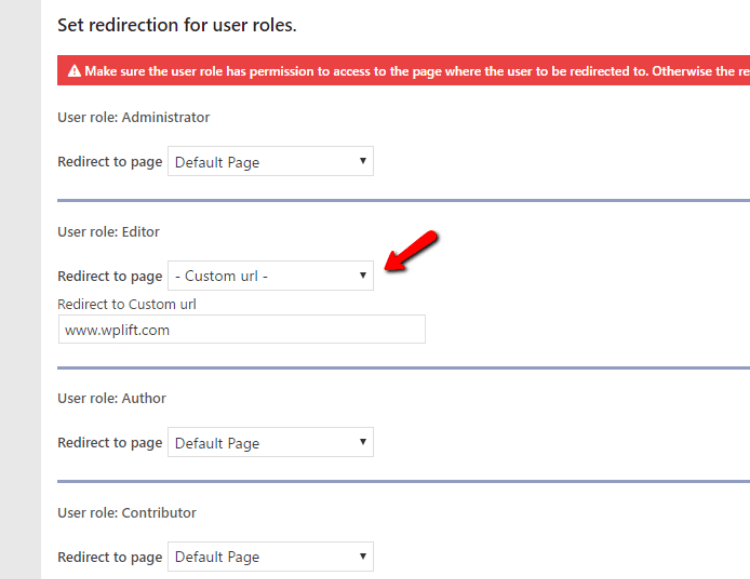 By default, whenever a WordPress user logs in, they’ll be taken to the backend dashboard. But that scenario might not always be desirable. With WpAlter, you get full control over what happens after a user logs in. If you’re using WpAlter to white label client websites, you’ll probably love this feature. 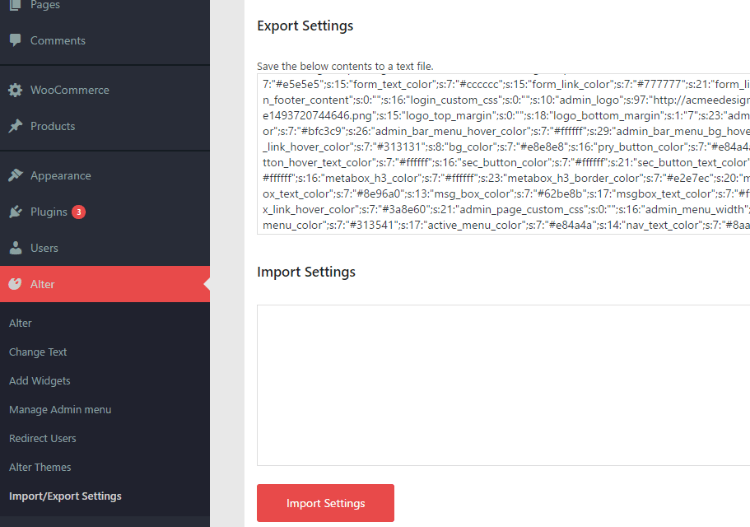 WpAlter lets you easily import and export your dashboard settings with just a couple of clicks. How Much Does WpAlter Cost? WpAlter costs $23 at Code Canyon. With that, you’ll get standard Envato licensing. I’d say that price is plenty fair for what you get. 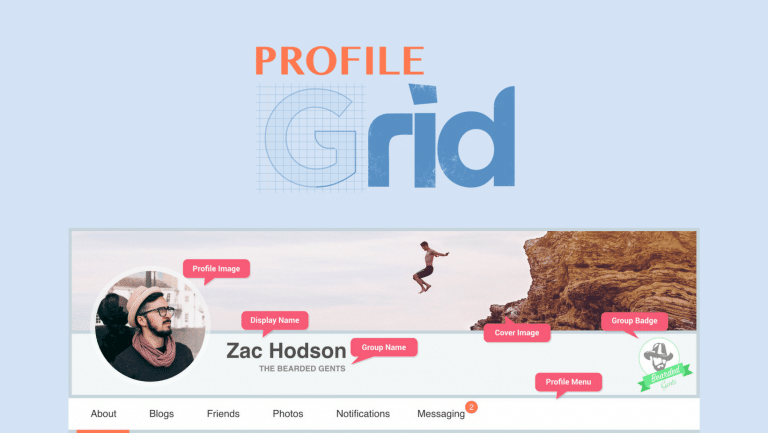 Sure, it’s a niche use – but the plugin is put together well and does exactly what it promises. As I said, WpAlter does exactly what it promises. 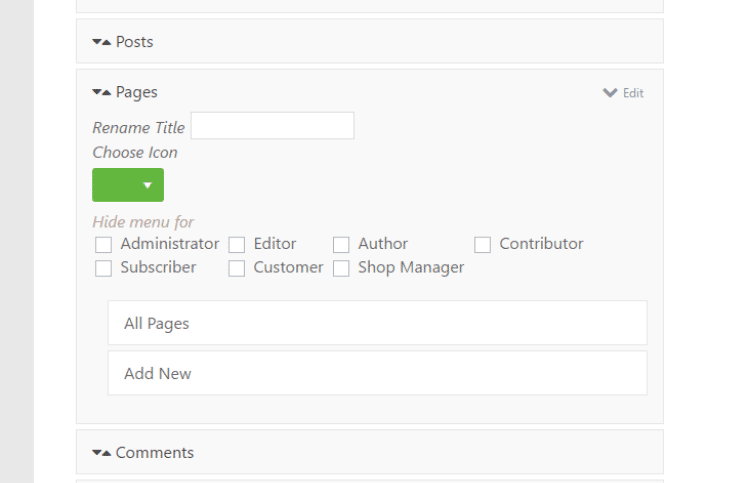 It’s easy to use and lets you customize and white label every aspect of the WordPress dashboard. Whether you’re using it for your own site or your clients’ sites, you’ll have full control over how everything shows up. You can’t ask for much more! If you want to get started with WpAlter, you can purchase it by going to Code Canyon.